Quality health insurance in Texas doesn’t have to be complicated or overpriced. 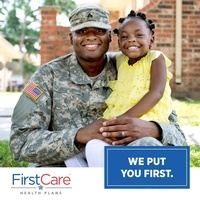 And at FirstCare, we put you first! Learn more today about our individual/family plans, STAR and CHIP coverage, or group health plan options. We offer a variety of HMO plans as well as FirstCare PPO and Health Savings Accounts. We strive to make every plan simple and easy to understand and participate in.